I would love to say that my car is clean all of the time. But that would be a bold faced LIE, lol. My car usually looks like a bomb went off inside. In an effort to stay more organized this school year, and not have the parent drop off school attendants recoil every time I drop my kids off at school, I am staying on top of it this year before school begins! 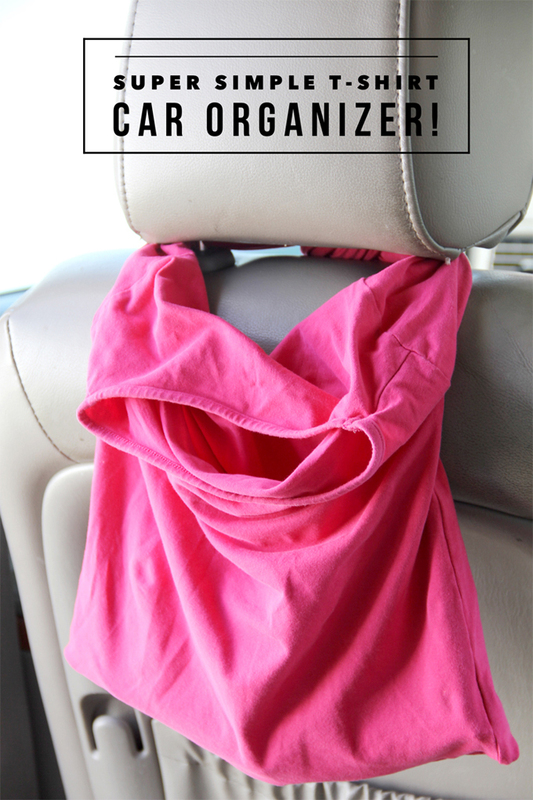 T-Shirt Car Organizer – a super simple thrifted craft project. Why do I love this DIY so much? 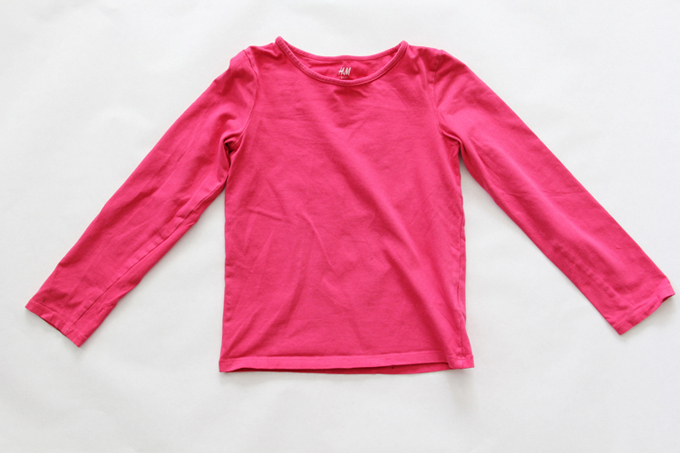 Because it uses a long sleeved T-shirt that your child may have outgrown, and takes less than 5 minutes to make. Score. That means you are 5 minutes away from having a cleaner car. Let us show you how to DIY. Step One: There is truly only one step to this organization craft DIY. Are you ready for it? 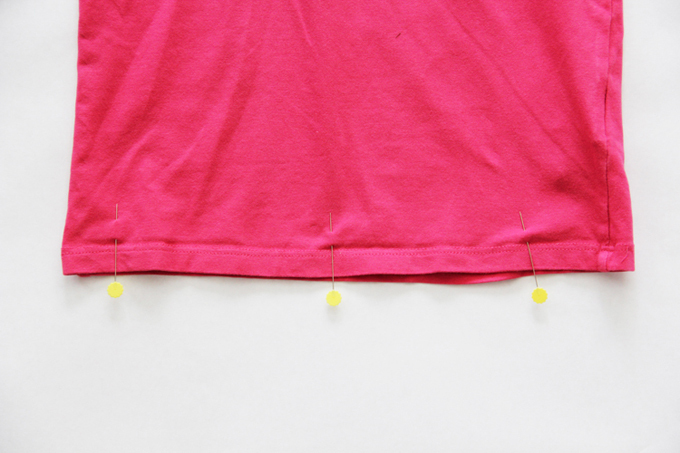 Turn your T-shirt wrong side out, and sew the bottom hem together. Turn T-shirt right side out and press. It really is that simple. 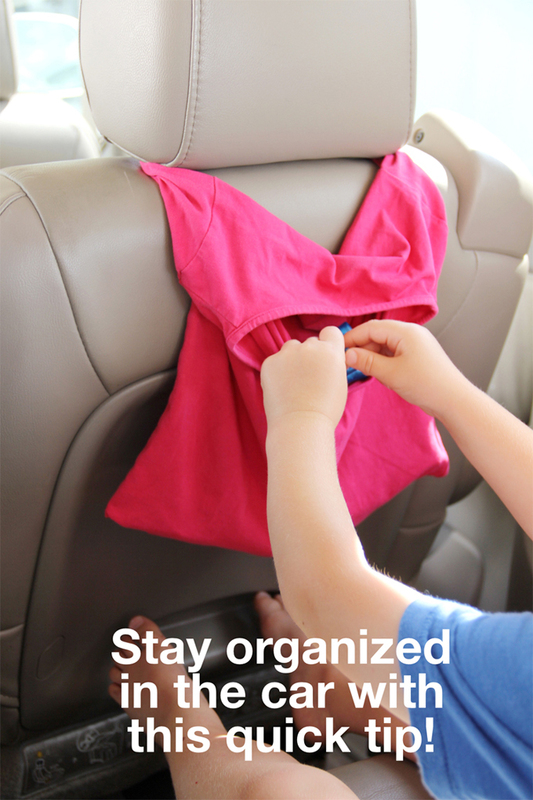 Tie the sleeves around your car’s headrest with the neck facing your child, and let them fill up that bag with their latest car toys. 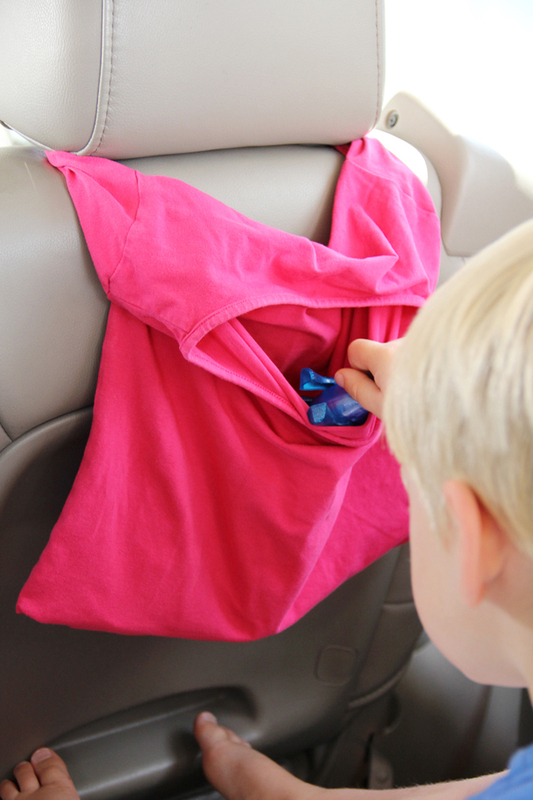 Instant kid happiness, and less mess on the floor of your car. Don’t have kids? 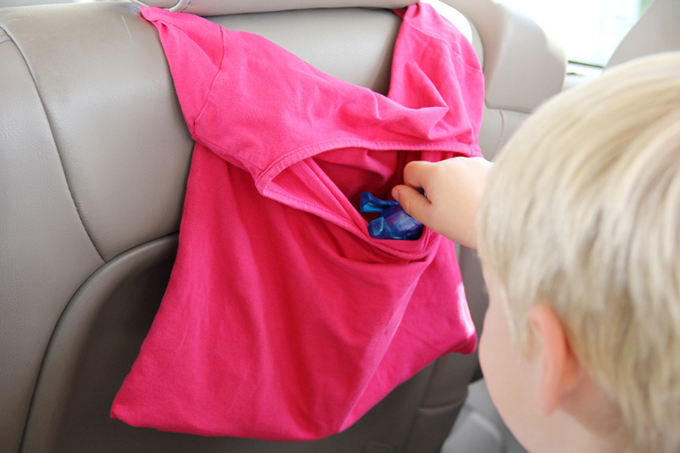 Use it as a trash bag for your car, to hold paper towels, you name it! Your car’s floor will thank you.